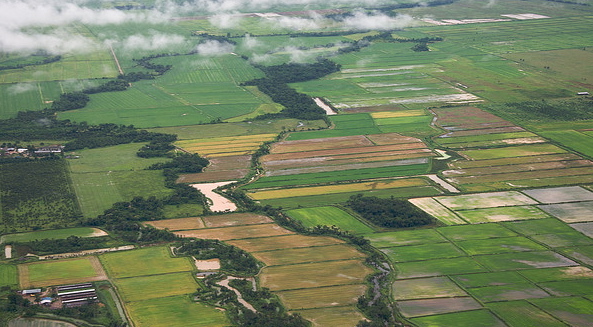 Farmland - Photo by Sam Beebe, Ecotrust. The cost of farmland – and food – continues to spiral upward. The global land grab is in full swing, and the consequences of this grab are just beginning to emerge. In that context, it is important to reconsider the whole basis of the matter: our relationship to land. I encourage everyone involved with food and farming to weigh the matter carefully, for there is a world to gain from the steady, ongoing establishment of community farm trusts to hold farm land and make it available to qualified farmers with provisions for equity. To me that seems the wisest course of action over the long term for so many of the community agrarian initiatives active now in North America. Back in 1988-89, when Trauger Groh and I were writing the first book about CSAs (Farms of Tomorrow: Community Supported Farms, Farm Supported Communities) we could not help but recognize the matter of land as a key point. "...The land has to be liberated out of the insight and actions of citizens who recognize the essential need. Specifically, local land suitable for agriculture must be gradually protected by land trusts. To do this, every piece of farmland has to be purchased for the last time, and then, out of the free initiative of local people, be placed into forms of trust that will protect it from ever again being mortgaged or sold for the sake of private profit..."
"...This is something that cannot be legislated or otherwise imposed in any way upon humanity. Every step of progress will have to arise out of the insights and the free initiative of the people." Hi Dave - The way it works is for local citizens who see the benefits to get together and form the land trust, then purchase the farm land and place it in trust so that it cannot be sold again -- and can be dedicated to growing good clean, organic food for the people of the community for generations to come. They make the equitable arrangements with the farmers, who should be able to build some equity. There are lots of models of this, and they work well. As long as land remains on the open profiteering market, as most of it is now, we will have outrageous $7,500 an acre prices as we do now in many places in the American Heartland. That's just wrong. Steven, a land trust concept is such a cutting edge concept that it took a second and third reading of your post for it to really sink in my brain. Would the land trust concept be like the land owning itself and interested folks would care for the land in agreed upon time frames or am I completely missing the concept here?